The Clark-Fox Family Foundation believes in the power of collaboration to make 1+1=100. Collaboration helps us make more impact with less resources, effecting faster and more effective change. There are many organizations in the region working together on common issues with common goals. 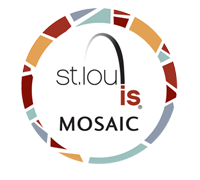 FOCUS St. Louis® is the region’s premier leadership organization, preparing diverse leaders to work cooperatively for a thriving St. Louis region through experience-based leadership training, civic issue education and public engagement initiatives. Jewish Federation of St. Louis mobilizes the Jewish community and its human and financial resources to preserve and enhance Jewish life in St. Louis, Israel and around the world. The Spirit of St. Louis Women’s Fund is a collective giving and grantmaking organization. Everyone gives an equal amount of money. Everyone has an equal voice. The St. Louis Public Library has 17 locations across the city and sees more than 2.3 million visitors each year. The Library has more than four million books and items in its collection and more than 83,000 Library cardholders. Recently voted Best Zoo and America’s Top Free Attraction, the Saint Louis Zoo is dedicated to connecting people to animals. We have more than 17,000 animals in our care, many of them rare and endangered, and we welcome more than 3 million visitors a year. A civic collaboration providing meaningful employment opportunities for at-risk youth ages 16-23 in St. Louis, MO.